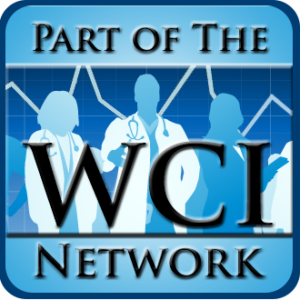 Joining the WCI Network | Passive Income M.D. Throughout my medical training, my long-term goals were focused entirely on finding the best attending physician job, thinking I’d be “set” once I reached that pinnacle of success – both in my career and in my life. But near the end of my training, I stumbled upon this book, and I realized there was more to a stable and enjoyable future than just getting a well-paying job; I had to understand how to control my finances. It lit a fire in me to try to understand everything I could about the subject. I developed a pretty healthy appetite for finance-related books and anything else I could find on the subject – podcasts, blogs, you name it. I soon found myself on one such blog – you may have heard of it – called The White Coat Investor. After all my research, I was excited to find a physician writing about these exact subjects, and it blew my mind. I’ve since been a loyal reader for 6 years. About a year and a half ago, a colleague suggested I check out another blog written by an anesthesiologist like myself, Physician on FIRE. I initially thought the title was a clever play on one of my favorite movies (Man on Fire). Turns out, his blog introduced me to the acronym F.I.R.E. – Financial Independence, Retire Early. I was hooked. When I started my own blog to chronicle my personal journey to financial freedom, I used these two sites as a template for a blog done well. Fortunately for me, the blogging world can be extremely collaborative, and within two months, I had an interview on my site with Jim Dahle (the White Coat Investor), and the Physician on Fire was the top referrer to and commenter on my site (thank you!). When the WCI Network was initially announced in March 2017, I thought to myself, “That sounds like a great idea and a lot of fun.” Who doesn’t like the idea of forming a team? The blogging world can feel daunting and sometimes lonely when you’re trying to figure it all out on your own. You have all these great ideas and a ton of passion, but how do you make it all work? What made the WCI Network stand out to me was that it was a true formal network and business partnership, with a common goal, and a gameplan for how to reach that goal. Sounded like something I wanted to be a part of. So I worked up a little courage and decided to ask them if they were looking to expand the network. Their answer was “No, not at this time.” I was a little disappointed, but not at all surprised – it was brand new and by and large, so was my site. So I continued to work on my blog, determined to build it into the best resource it could be. Readership continued to grow and so did the revenue from the site. You can imagine my surprise when I received an email months later asking if I wanted to get together in person at FinCon to discuss the possibility of a partnership with the WCI Network. Boom! 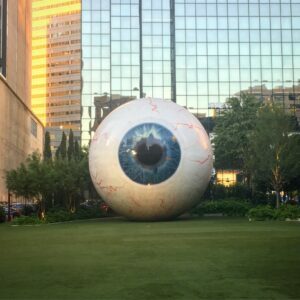 So in October, we met at a restaurant in front a 30-foot-tall eyeball sculpture in the middle of downtown Dallas. I met their families and it was great to put faces to the online names. We got to know each other, and share our passions and future ambitions. Looking back, it was like a first date – trying to figure out if we got along and whether we could see a future together. Soon after the conference, I received a formal invitation to join the WCI Network and it was probably one of the easiest business decisions I’ve ever had to make. I can’t think of two better business partners to ride on this journey with and so here we are. At the end of the day, I feel extremely privileged and excited to join the network, and I do believe this partnership will be beneficial for all involved. They own a portion of equity in my site, we will cross-market, and share resources. 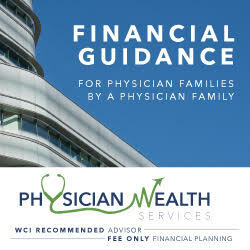 In particular, I believe it also helps me further accomplish my mission: to spread the word that passive income and having multiple streams of income can change physicians’ (in reality, everyone’s) lives for the better. I want physicians to enjoy practicing medicine and keep or regain their passion for it. I believe when some of the financial burden is lifted, this becomes very possible. Content – This partnership will only work if we all continue to do what we do best. We all bring different experiences and perspectives, and I think that’s what makes it so interesting. I will continue to write content that I feel is most helpful to readers, as well as things I’m personally passionate about – real estate, passive income, crowdfunding, side hustles, entrepreneurship, productivity, happiness, lifestyle, and family (to name a few). Focus – The site will still be focused on helping people create the life they want (financial freedom) through multiple streams of income. Passive income, of course, will remain at the top of the list. Added content – You will likely see some of my own content being published on the other sites, and vice versa. Posts from my partners will be a fantastic addition to the site and provide unique perspectives. Quarterly Newsletter + Income Report – Before, if you signed up as a subscriber you would pretty much only receive notifications of new posts. Now, you’ll receive in addition to those new posts, a quarterly newsletter which will include my income reports and the state of the blog, as well as be notified of exclusive subscriber giveaways & downloads. Subscribe below for our quarterly newsletter, updates, & more! Passive Income Docs Facebook Group – I love the comments and personal messages from everyone. Keep them coming! I frequently receive a lot of similar questions, so I thought it’d be great to create a place where we can learn from each other, trade ideas, and ultimately support one another. I love how FB groups can be more of a real-time conversation instead of simply comments passed back and forth. Feel free to join here! It’s literally brand new, so help me get it going! To both readers old and new, I hope you find the site beneficial in some way. I’m always open to feedback and suggestions, and you can contact me here, or on Facebook, Instagram, & Twitter. Thank you!!! Congratulations WCI, POF, and PIMD. You guys are on to something for sure. I like your business savoir-faire. Congrats!!! That’s super exciting. I wish you guys continued success. As a team you can only grow stronger! Thanks Carrie! Teamwork makes the dream work(?) Is that how it goes? Wonderful for all involved! The “WCI” are the 3 blogs I read the most, so no surprise you all are now linked officially. Thanks Rogue Dad MD! I really respect your writing so that means a lot. Congrats for joining the network! Looking forward to more great content! You have accomplished so much so quickly. You deserve more of the success which will inevitably follow this move. That’s very kind of you. Following the trail you helped blaze. Congrats. I look forward to reading more posts. 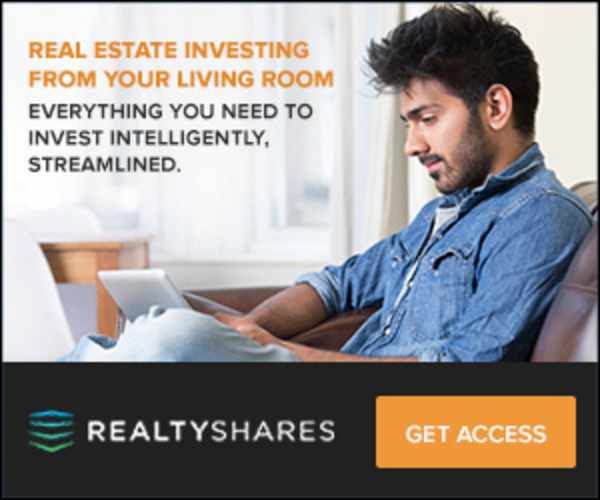 I know almost nothing about real estate and crowdfunding so maybe you can teach an old dog some new tricks. Congrats PIMD! You’ve built something great and I look forward to seeing where it goes from here! Thanks Pamela! I would love to have you share some more of your wealth of knowledge on the site. Congratulations PIMD! Looking forward to reading more great content. To continued success. Thanks! I’m just trying to keep up with the good stuff you put out. Great news PIMD! Keep pushing the limits! Sounds like a slam dunk! I’ve really enjoyed the content on all 3 of these sites. Excited to see what comes next. Props to you for sticking it out and staying consistent. That’s awesome because I’ve never been able to dunk the ball. Actually I’ve never even gotten close, so I’ll take it. Thanks for stopping by. Consistency is key! Congratulations PIMD! Good luck with the next stage for this blog. Welcome to the team, PIMD! Your perspectives will be an excellent addition to the Network and its mission to help high income professional use and invest their money intelligently. Awesome news!!! Can’t wait to see what great content comes from this superhero team of physician bloggers. Congratulations PIMD! Looking forward to this new beginning! Thanks! Are you talking about your blog? Because it’s great! Thank you! You have raised the bar so high. You are worthy to look up to.